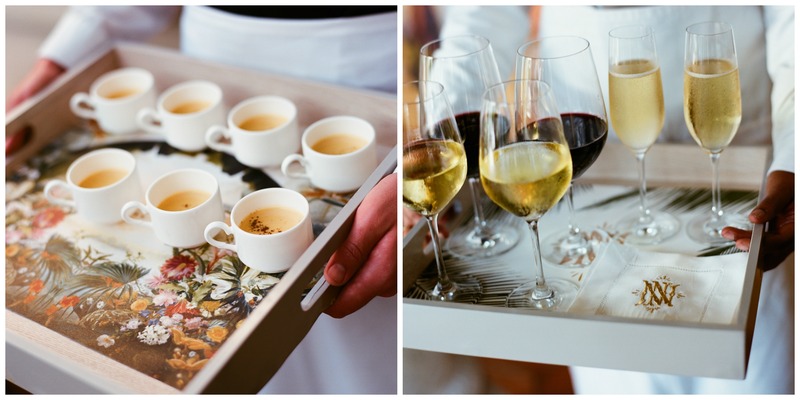 It’s a new year here at the Paper Fig! 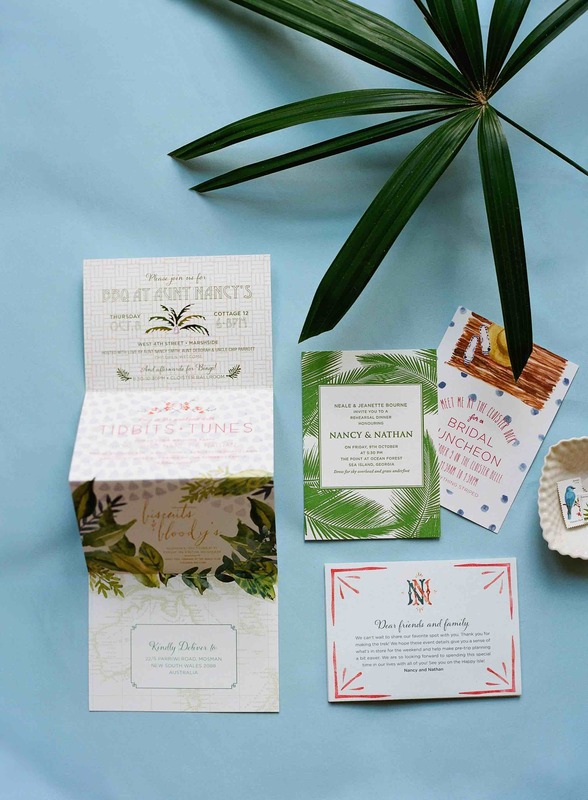 We thought it would be nice to pick some of our favorite pretty wedding printings and walk you through the pieces starting with the Save the Dates all the way to the Send Off or Just Married signs… The first one we are starting with is a wedding at Sea island on the coast of Georgia. 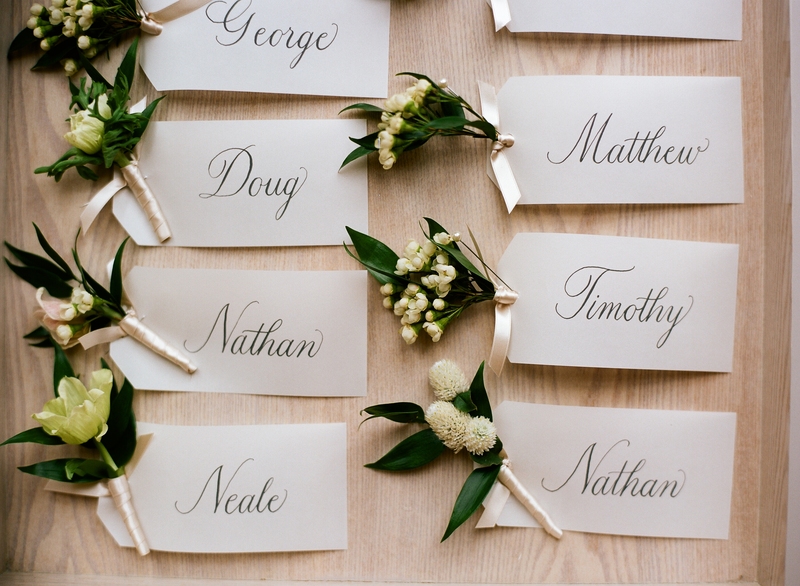 The bride was on the more traditional side, but wanted botanical notes brought into the design. 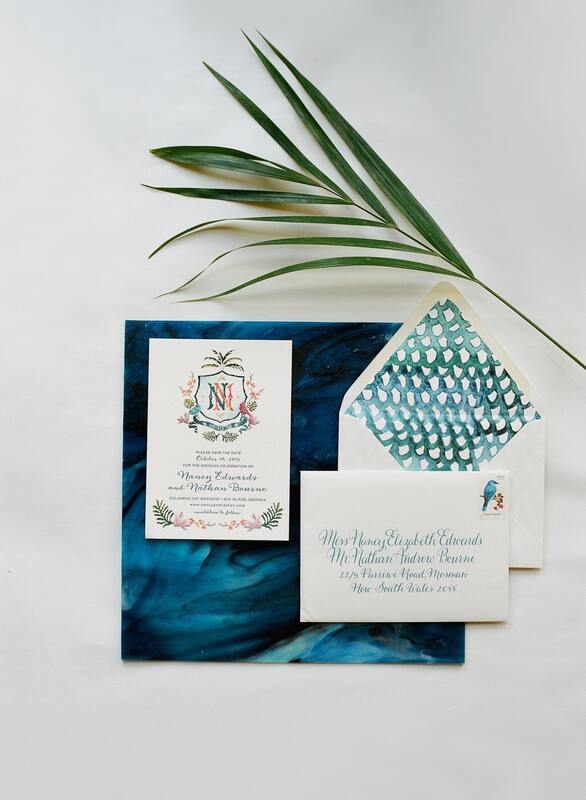 The save the dates started with a watercolor look incorporating a custom monogram and flora & fauna notes… We loved the envelope liner with a whimsical scale pattern and the turquoise ink color. 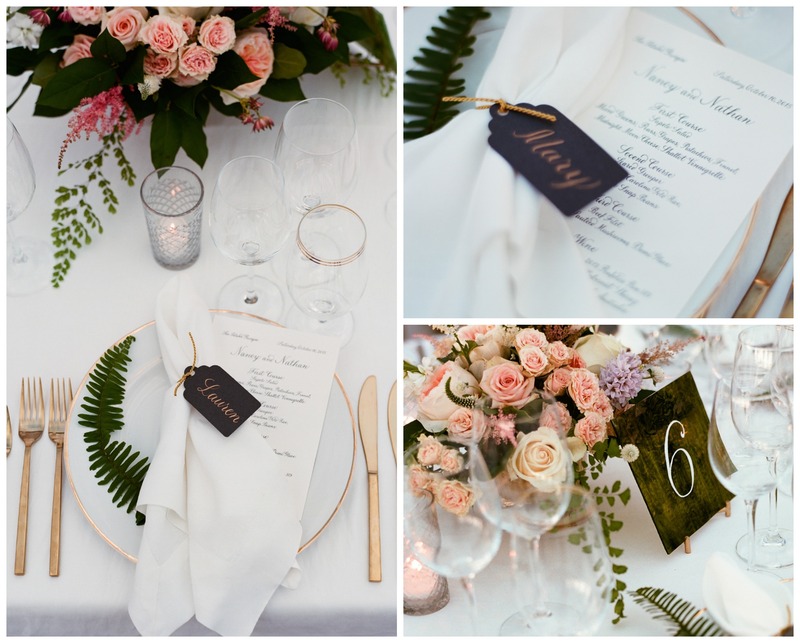 We kept it classic on the invitations with simple black calligraphy, but a custom designed botanical paper liner added a gorgeous glimpse as guests opened the envelopes. Also, botanical stamps added attention to detail, and the black and white elvis rsvp envelope stamp was a fun touch. 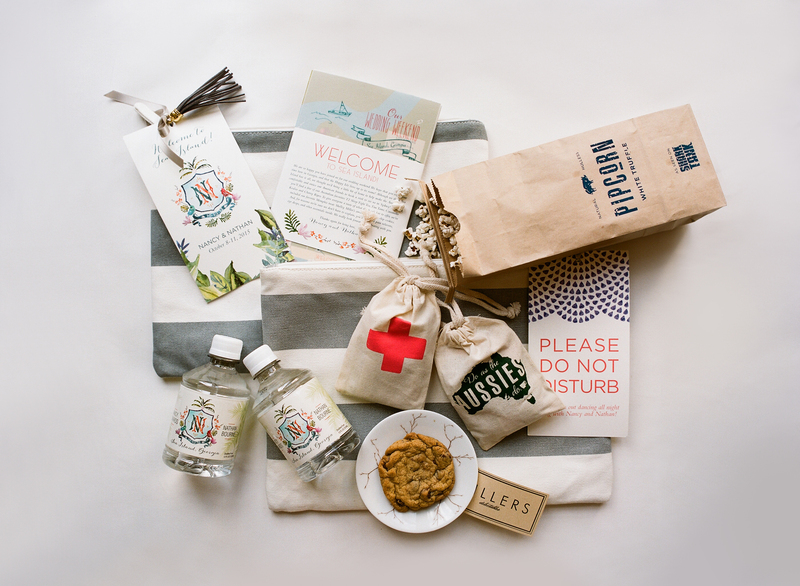 The party pack, which guests, receive as they are rsvp’ing to the wedding “married” all of the looks together… We decomposed each design and took a smaller element from each in order to create a packet of different invitations and information that coordinated together and set the tone for the weekend. Packaging on the wedding welcome bags brought back the whimsical look of the save the dates, since this is a place to play and have fun with the design and pieces. Again, brining back a more formal feel with the ceremony programs. 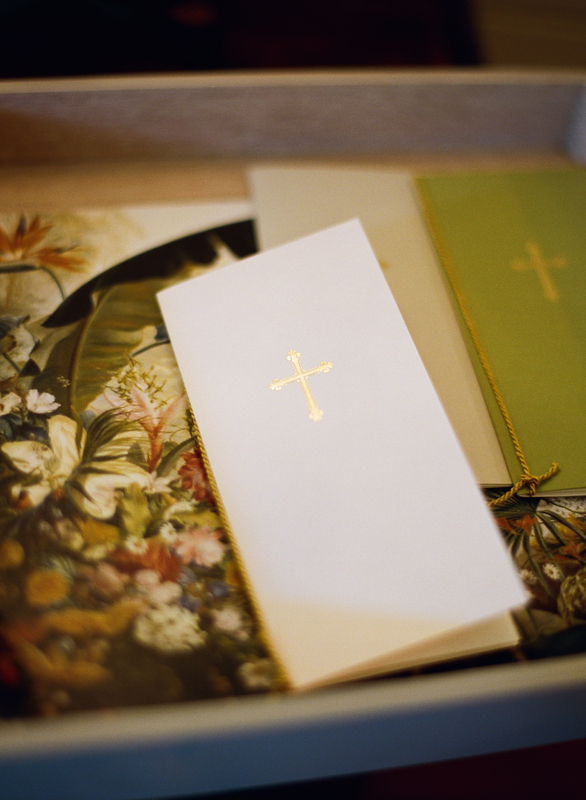 The custom botanical pattern lined the cover of the booklets which were bound with gold cording and a lettpressed gold cross. 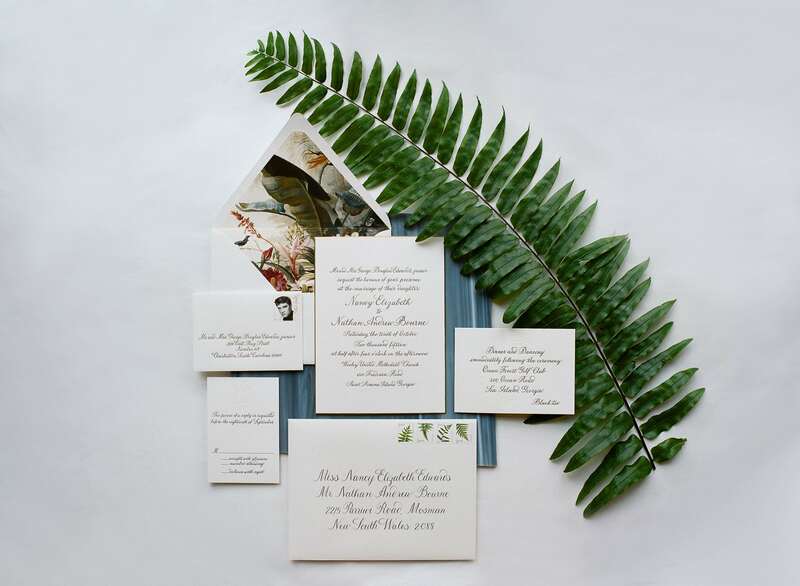 For the formal sit down dinner, the menus took homage to the traditional style of the invitations. 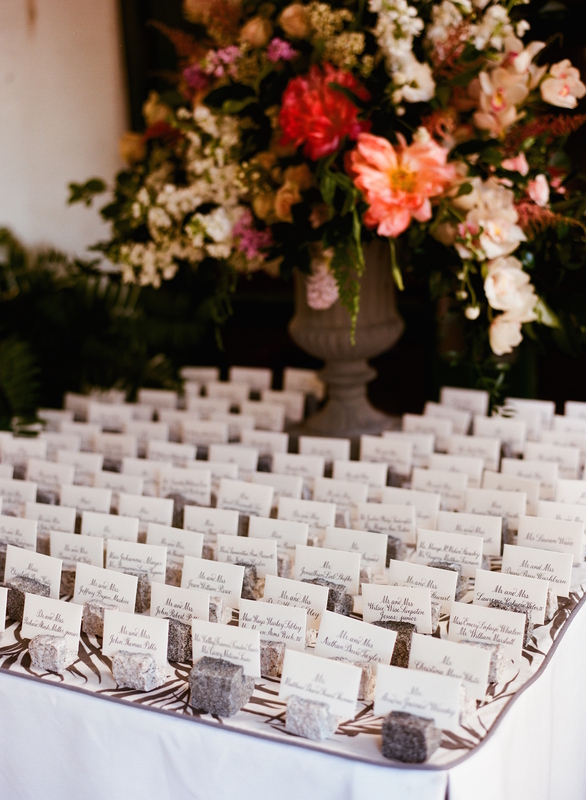 Place cards were wooden tags tied to each napkin for a nice detail, and wooden pieces were hand painted for table numbers. 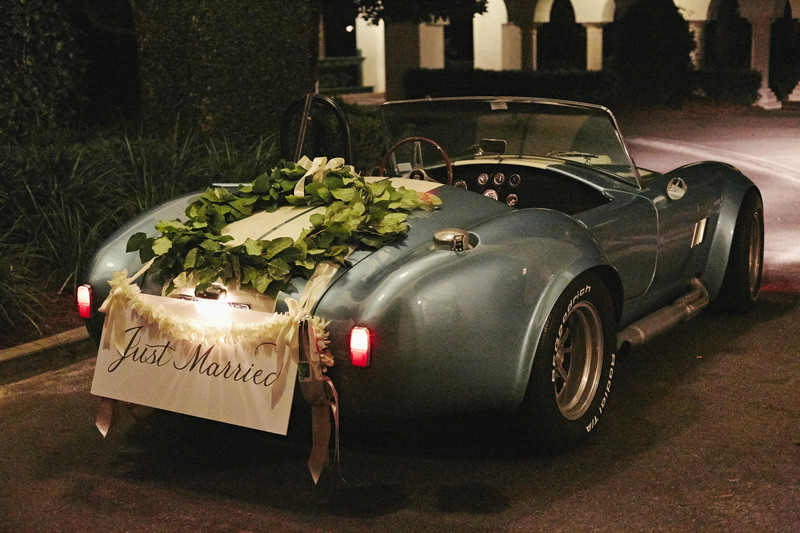 We have done all kinds of Just Married signs as you saw from our earlier post, but we really feel like you just can’t leave that detail out… Even something simple is sweet for the photo opp!